Gilded Acorns was a great follow-up piece allowing me to work with different types of gold. It might be fun to add some gold to a future piece. I’ve got some leftover after finishing the second leaf, adding the thinner veins in both leaves, and building the second acorn. I’m heading to the framer on Saturday with both recent goldwork pieces. Yesterday ANG Main Line Stitchers joined with EGA Brandywine to host Deborah Wilson (a recent Woodlawn winner & author of the goldwork chapter in Amy Bunger’s Cookbook). Linda & I were fortunate to have visited Woodlawn the day Deborah was demonstrating. So, we saw Gilded Acorns on display & thought it would be a great piece for our chapter. Class got off to a flying start when I learned about my Elan lap stand from Nancy who had one too. She showed me how the base expands (out to 29″). 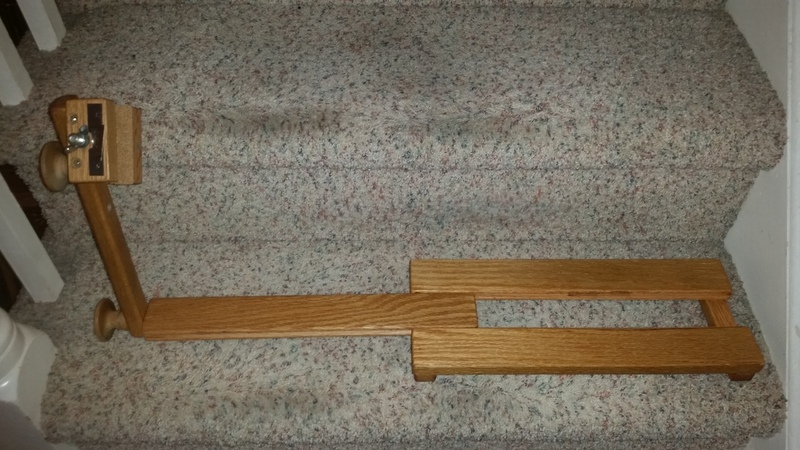 I have had this stand for at least 10 years & never knew about this feature! It was interesting to learn slightly different techniques from different teachers. Deborah stretched the pearl purl by holding the end with a pair of scissors instead of by her fingers. And, she couched the end about 3 twists in but gently twisted the pearl purl to make the couched stitch on the first twist. Very cool. I learned that the tweezers I bought was really a burling iron. And, I had the opportunity to work with different types of gold including broad plate, whipped broad plate, bright check purl, and wire check purl. A wonderful follow-up class to the one I took at seminar. Deborah will be teaching a wonderful piece at NAN in 2017. Watch for that!! We got a lot done despite the fact that we had to stitch the leaf first with Waterlilies. 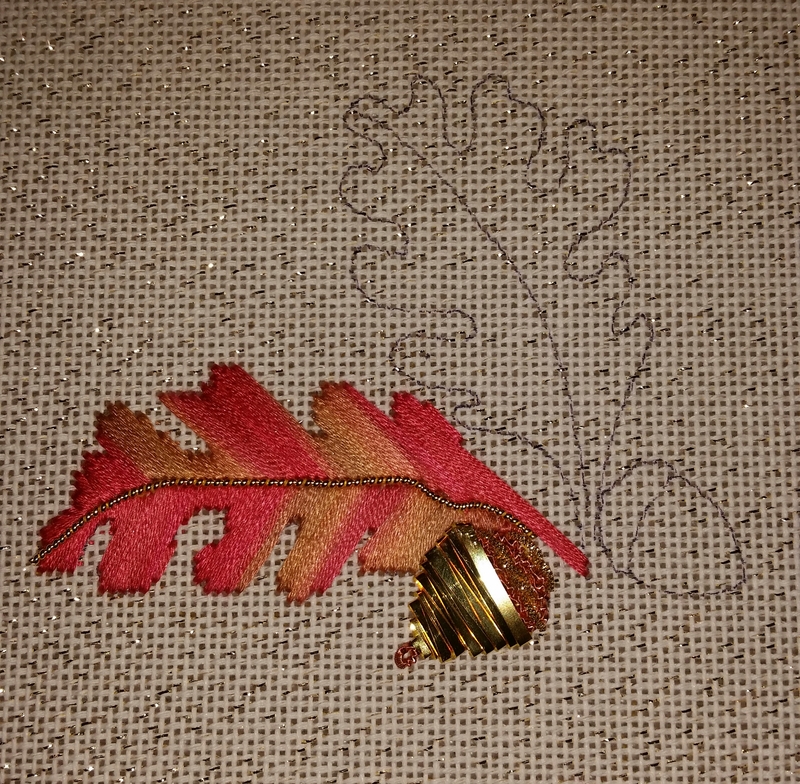 I wonder if most beginners of goldwork start with leaves. Both of my goldwork pieces are leaves. Or, maybe, I was drawn to them because they are leaves – fall is my favorite time of year! I am so excited that the 2 goldwork pieces are not so tough or large that I will finish both. They will look nice framed.